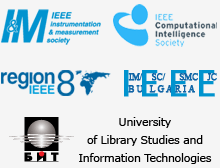 Building upon the success of IS’02, IS’04, IS’8 (held in Varna, Bulgaria) and IS’06, IS’10 (held in London, UK), the 6th IEEE International Conference on Intelligent Systems IS’12 shall continue the tradition of bringing together top specialists in the broad area of intelligent systems. 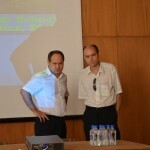 This forum is an opportunity for scientists from all over the world to share ideas and achievements in the theory and practice of intelligent control, artificial intelligence, decision support systems, neural networks, soft computing, data mining and knowledge discovery, ontologies, machine learning, intelligent measurement, etc. Presentations should highlight contemporary intelligent systems as a concept that combines theoretical research and applications in automation, information technologies and measurement. 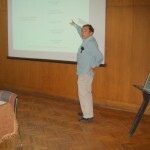 All aspects of intelligent systems are of interest: theory, algorithms, tools, applications, etc. In addition to the main sessions, the conference timetable shall be concerted with several other symposiums, workshops, poster sessions, tutorial courses, etc., in similar scopes, which will take place before, during and after the end of the IEEE IS’12. IS’02 up to IS’10 established as scientific forums that gather only quality papers and presentations that meet high scientific standards. Following the tradition, all submitted papers to IS’12 shall be carefully reviewed for possible inclusion in the Conference Proceedings. After the Conference, a selected number of best papers shall be expanded and revised for possible inclusion in the Journal of Intelligent Systems and in other well known journals. Last version of the Program.